The internationalization of business education is nothing new. Case studies featuring foreign companies are taken for granted in MBA programs. Study-abroad opportunities are everywhere, and at some institutions, global consulting projects are practically a requirement. But business schools still don’t go far enough. As more graduates pursue careers abroad, international curricula need to evolve as well. For this year’s crop of newly-minted MBAs, being successful in the global economy requires knowing culturally-specific soft skills. Other countries have very different rules for what’s effective and what’s appropriate. MBAs cannot rely on how they would normally behave in their native lands; they need to adapt not just how they think but also how they act. 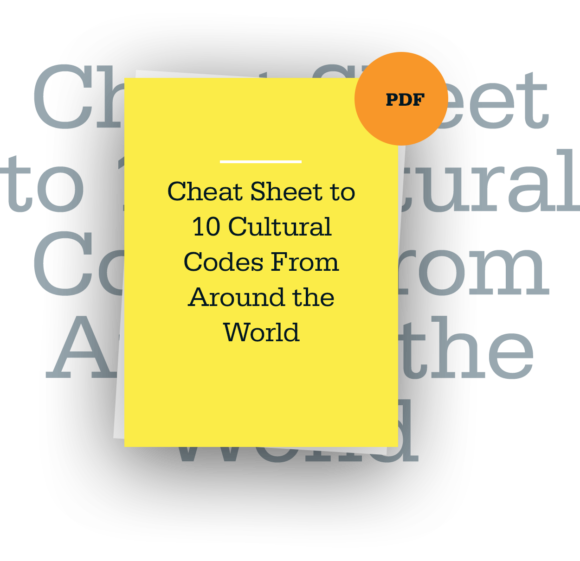 This “cross-cultural code-switching”–the ability to adapt behavior to accommodate different cultural norms–doesn’t come naturally. Like fixing an outdated laptop, you have to essentially switch out your operating system in order to install the latest software. It requires significant rewiring, and a whole new mindset. The fact is that many MBAs will leave their home countries to work all over the world. According to a recent study by the Graduate Management Admission Council, 25 percent of prospective business-school students expect to work outside their country of citizenship. As teachers of business, we are duty bound to give these future leaders the best shot at success by providing them with cultural code-switching tools to navigate these environments. I became interested in this subject in the late 1990s, when I volunteered at an agency in Boston helping Russians find jobs. These were smart people with excellent resumes, but many of them performed poorly on job interviews. Russian interview etiquette requires that candidates come across as serious and modest. I coached my prospects in the free-flowing ways of the American job interview, trying to get them to smile and self-promote. Over and over again, I made the same suggestions, but they just didn’t know how to change these deeply ingrained behaviors. In order to get ahead, they needed a new kind of training. That’s the idea behind a course I created at Brandeis International Business School (IBS), which combines role-playing exercises, case studies, simulations, and other interactive activities to help students learn to manage successfully across cultures. It’s a two-step process. First, students must develop knowledge of cultural differences. Second, they must learn how to take what they know about those differences and incorporate it into their behavior. The difficulty lies in overcoming the many psychological challenges that arise when people find themselves in situations where another culture’s expectations conflict with their own. They may feel anxious and embarrassed. They may feel distressed about how different the new behavior is from their deep-rooted values. They may feel frustrated that they have to change their behavior at all. But in order to be an effective business leader today, changes are necessary. Students have to learn how to make small but meaningful adjustments to their mental software, ideally in ways that are natural and comfortable for them. With role-playing and case studies, students can explore how certain behaviors that are so critical in business—everything from how we run meetings to how we motivate employees to how we make small talk—vary from country to country. Teaching students to be globally fluent managers is no easy task. Multicultural class projects and short-term immersion programs are a good start, but at a time when most MBAs plan to work for global organizations, schools must go deeper. We must help students develop their own cultural code-switching tool-kits. It is the only way to equip them to handle this challenging global workplace. Originally published in the Chronicle of Higher Education. Most people think that being an entrepreneur is about having that big idea.